Any company may come across a common issue with knowledge sharing when a new employee joins the team. For any manager, it is important to bring a new employee aboard as fast as possible so as not to lose much valuable time on the worker’s training and adaptation to a new working order. Even more important is to ensure that you will not lose your corporate best practices in case your top salesmen decide to resign. How to achieve that corporate best practices in SugarCRM are shared in the most efficient way possible? Thanks to a new SugarCRM extension, it’s no longer a problem. It is pretty clear that knowledge management becomes more and more complicated as the company structure grows and develops. So every time the order of work changes, it requires more effort to make it possible for employees to adjust successfully. Another common problem with SugarCRM lead management and knowledge sharing relates to employee turnover within a company. An experienced sales rep or manager is a valuable asset. Therefore, his possible resignation may to some extent disrupt corporate processes. Why does it happen? Well, simply because your veteran employees, responsible for generating 70% of sales, have valuable knowledge and skills that may be lost in case they don’t share them before leaving the company. We’ve drawn a pretty gloomy picture but it’s not that bad. After all, you definitely have a range of successful best practices already applied for your existing clients. 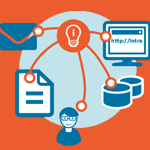 The only thing left to do is to use that knowledge in working with SugarCRM leads and opportunities. Sounds easier on paper, doesn’t it? Indeed, but there is a way out. We understand your concerns as a manager about the amount of time spent on sharing and managing best practices. So do we know about the ways how this time could be spent more efficiently (on urgent work tasks, for instance). That’s why, we at Integros developed Check List, a go-to SugarCRM extension that provides you with everything needed to implement and share your best practices of SugarCRM lead management. It is so much simpler now that you’ll notice the difference straightaway. Want to try Check List yourself? Just imagine that all your best practices are in one place open for access to all the employees at once. No more struggling to find the relevant case when a new SugarCRM lead has reached the certain stage of processing. With Check List you will have all the relevant best practices as well as information on what problems were previously faced to act accordingly. Sounds tempting, doesn’t it? The most significant advantage here lies in the reduction of control over knowledge management. From now on, your employees can themselves access all the data relating to corporate best practices and make use of them without the need to spend lots of time on training. You can be sure that the set-up of this simple SugarCRM extension won’t require much effort either. While developing it, we took into account the most topical issues that you’re likely to encounter. This way, you will feel the simplification from the very beginning. 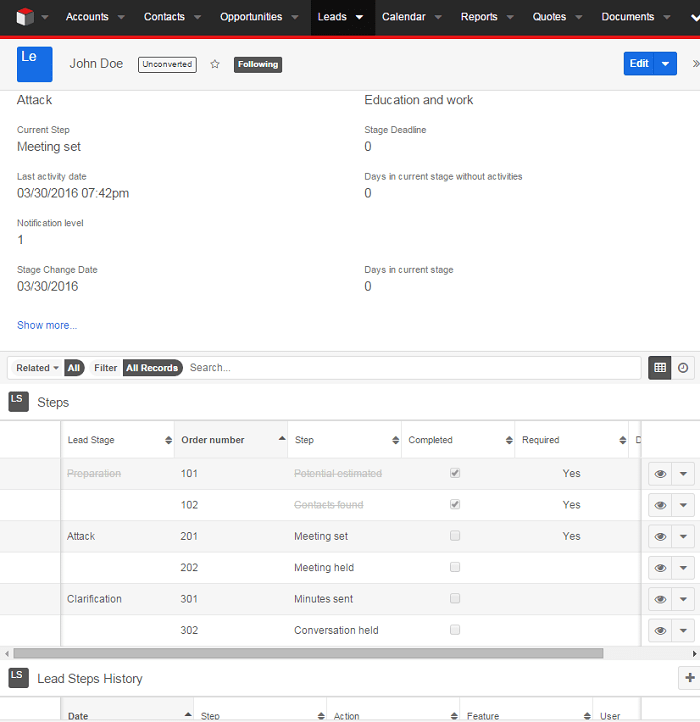 Besides, Check List helps to thoroughly analyze SugarCRM lead management whilst pointing out the problems to be dealt with and presenting information in a comprehensive and beautiful way, using easily built reports and dashboards. 2. Results of the analysis in Check List for SugarCRMTaking all that information into consideration, you will be able to make sound decisions on what to change so as to optimize your lead management. Integros Check List for SugarCRM provides a range of benefits both for managers and employees creating a perfect win-win situation. Of course, it’s up to you to decide whether you need this bunch of advantages in one SugarCRM extension. But, anyway, Check List is 100% free so why not give it a try? Just fill out the short form below to get it.